Fall is my favorite season of the year. I love the crisp weather, I love the start of the holidays, and I love all things pumpkin! Pumpkin pie, pumpkin bread, pumpkin candles... give me all the pumpkin! Parker and I started going to the pumpkin patch when we got married 5 years ago, and I don't think we have missed a year since. 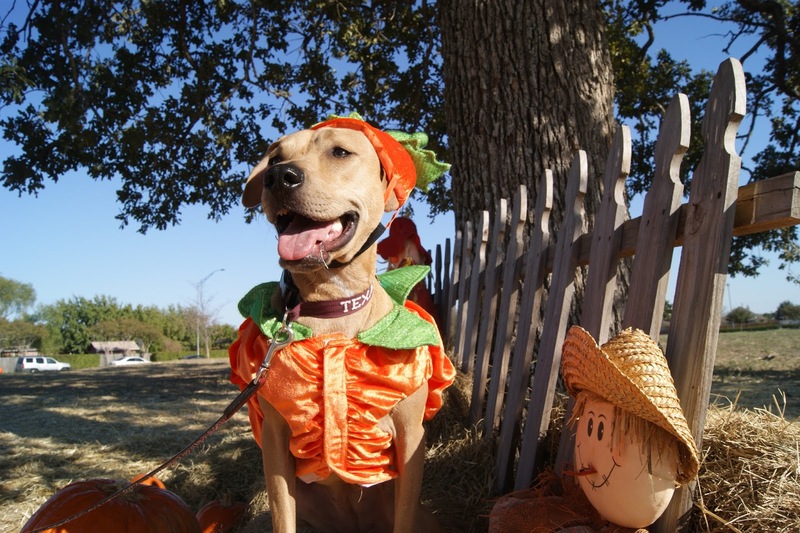 We were actually that couple that dressed our dog up as a pumpkin and took her to the patch. We have no shame, apparently. And by "we", I mean me. I think Parker about died of embarrassment every time I drug Jenny to the pumpkin patch dressed like a big orange pumpkin. Seriously though, she made a cute pumpkin. Here's a pumpkin patch throwback circa 2011. 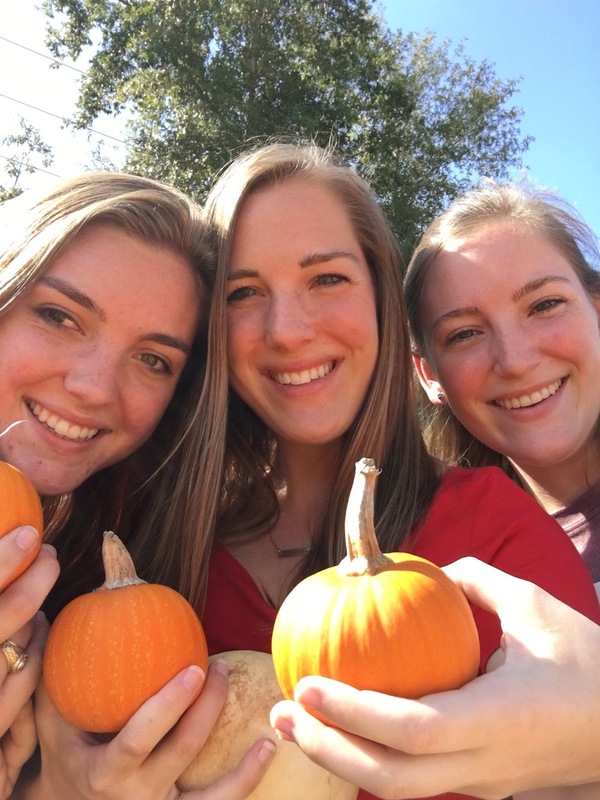 This year Jenny stayed back, but I did drag my little sisters to the patch with me to pick our pumpkins! We oohed and ahhed over the rows and rows of pumpkins and carefully selected our favorite ones! There really is something magical about a pumpkin patch. Since I didn't have any big strong man arms with me to carry the big pumpkins, I opted for the smaller, more pregnancy-friendly versions. 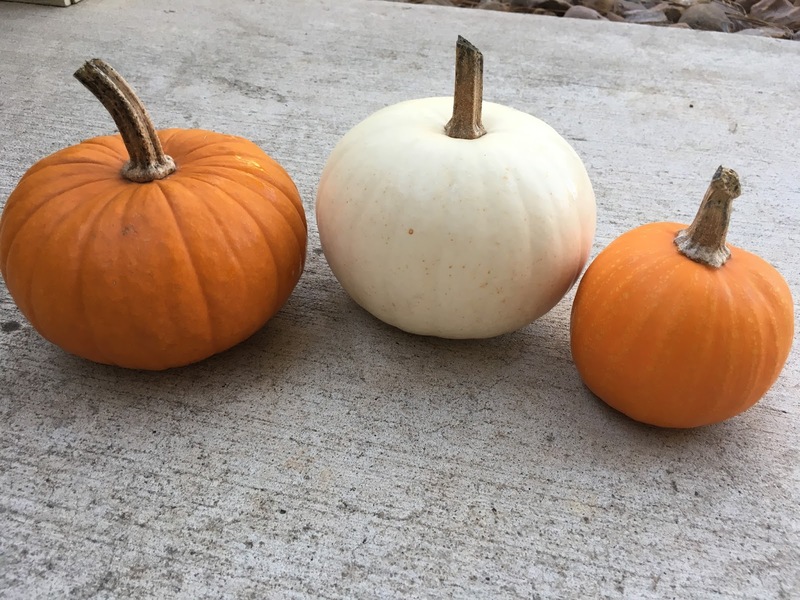 I picked a pumpkin for all my babies- one for Jenny, one for Taylor, and one for baby boy! I have a tradition of picking a white pumpkin for our angel girl, so I was really excited to pick the prettiest white pumpkin I could find. I picked an orange pumpkin for Jenny and then a very small orange pumpkin for the boy. It will be so fun next year watching him pick his own pumpkin! Such a fun tradition! And I love Jenny's costume and would totally dress my dog up! Andy and I went pumpkin picking last year but we haven't gone this year! 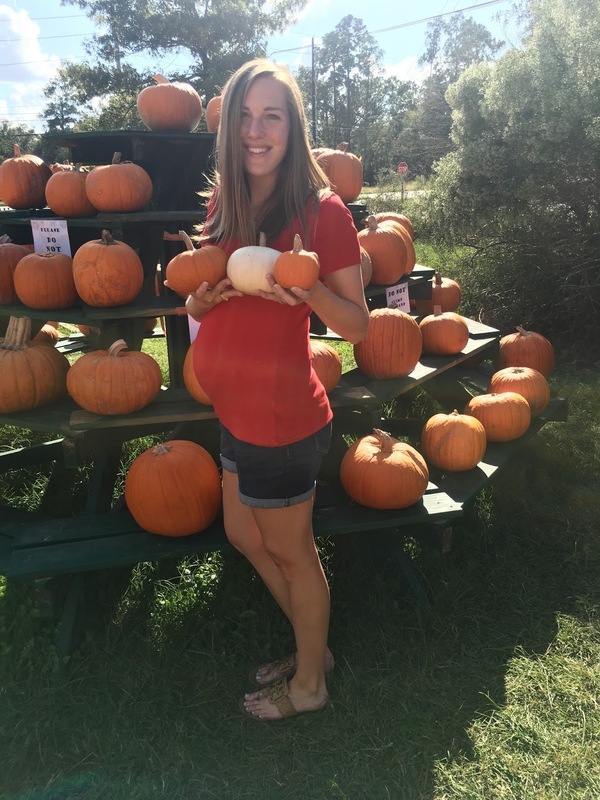 I love that you are wearing shorts to pick pumpkins! Your baby bump is the CUTEST! Jenny's costume is so silly! It really is the most fun to go to the pumpkin patch! Loving your bump- you look amazing! Dogs in costumes get me every single time! I really need to get serious on what Judy & Bill are going to be.